It’s 10 pm the night before your new blog post. Staring at my Screen and waiting for those miraculous words, ideas for a tomorrow’s new post. The head is empty, and there is no idea what to write about. It does not have to be like that every time. 🙂 With good organization – editorial calendar, you can skip this waiting and start writing. I usually spend 1h per month to prepare my calendar and save a lot of time later. Worth every minute! I create my editorial calendar for a month in advance, usually at the end of each month. It is done in 3 steps: pre-preparation, preparation, execution. For while now I have a list of blog post ideas and every time new idea pop in, I simply add it to the list. In the first step, I always check my list and mark those that I like the most. In a second step, I check my calendar (I have to admit that sometimes I don’t take this step, but it may be useful for a lot of bloggers). Is there any important event, a date that I am planning to go to and then publish it on my blog? If yes I add this to my list and mark it as a post I will publish next month. My plan is to post every Sunday (main blog post) and every second Wednesday (WordPress tricks), this means I need about 4 main blog post and 2-3 WordPress tricks. In this step, it’s time for me to make a shortlist and select those blog post I intend to publish in the next month. If I have more, great I will keep it as a reserve if I want to change the topic. When I have everything ready, it’s time to make an editorial calendar. With good pre-preparation, this step is quite easy. If you don’t have a calendar yet, first you should choose the one that will be the most convenient and effective for you. What do you prefer online or offline calendar on paper? I’m a mixture of both. 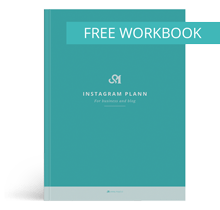 I use Google Calendar to plan my posts – because it’s always and everywhere available and a variant on paper that I have in my workplace, so I can check what is the next post and the current status at any time. In Google calendar first I write my chosen posts. Then I evenly arrange them (every Sunday, main post, every second Wednesday WordPress tip). In my printable calendar I write down all the planned posts. After completing eg draft of my next post I mark this in my printable calendar. More about this printable calendar you can check in this post. I like my printable version because I can always check the status of my next post. When it’s time to start preparing a new post (usually on Monday), I’ll look at what I’m going to write about and then go prepare a new post. I mark each step I do in this calendar. Often I want to write about something else. Then I simply replace the planned content with the new one and the planned content return to the list of ideas. The calendar is more than a guide to make my process easier. So this is my process, how to make an editorial calendar for the blog. Now it’s time for you to share with us how you make it and if you use it at all. Do you make plans or do you write only when feel inspired (people are different and both variants are ok)? This was right on time for me! I feel I can be unorganized when it comes to content posting. I was thinking of ways to get better and then I found your post. Thank you for the tips! This is great!! I have been looking for exactly this for my blog and Instagram!! Such a good idea I defo need to do this! I agree with you, an editorial calendar is so helpful! Great, I’m happy to help! These are great tips! 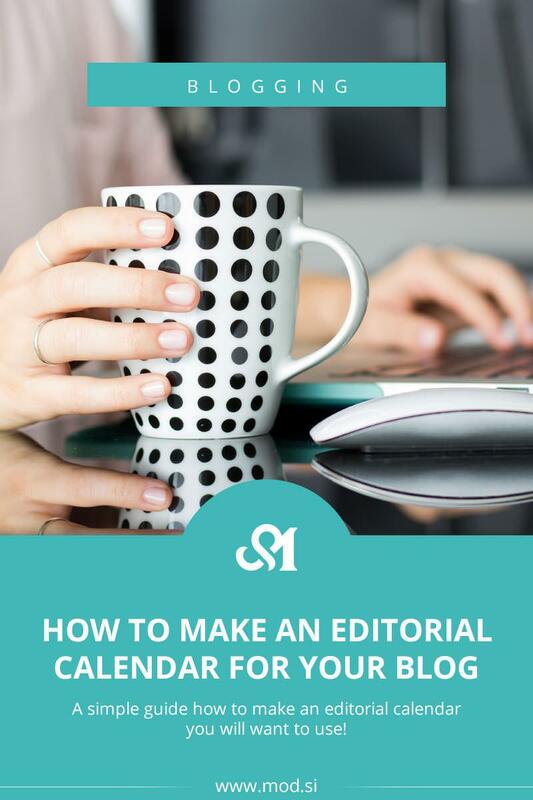 It is a good reminder for me to actually start an editorial calendar! Thank you! You just have to start, then it is done fast. I definitely need to be better about planning out my content in advance! I slack in this area. Thanks for the motivation! Definitely saving this and loved all the tips! I’ve been meaning to create an editorial calendar, but never got around to it. These tips are helpful! Thank you!! Thank you, happy to help! These are great tips! I am SOOO the blogger who is staring at a blank screen the night before a post is due!